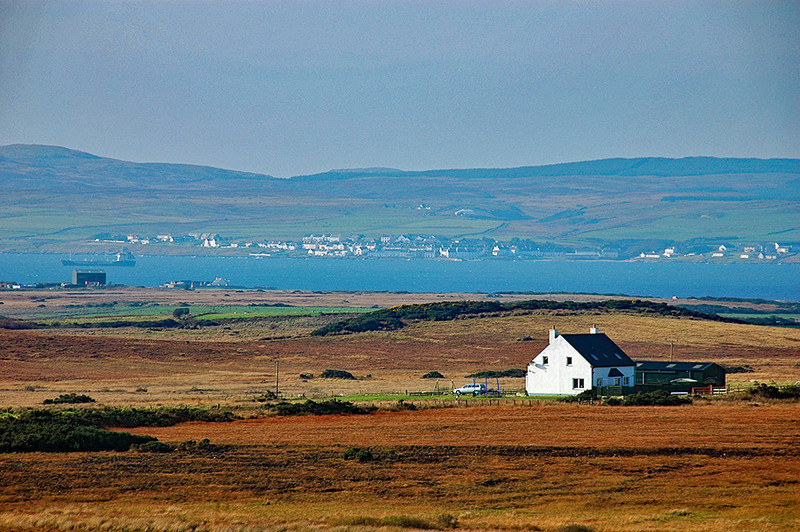 A view across Loch Indaal in some colourful mild November afternoon Islay sunshine. 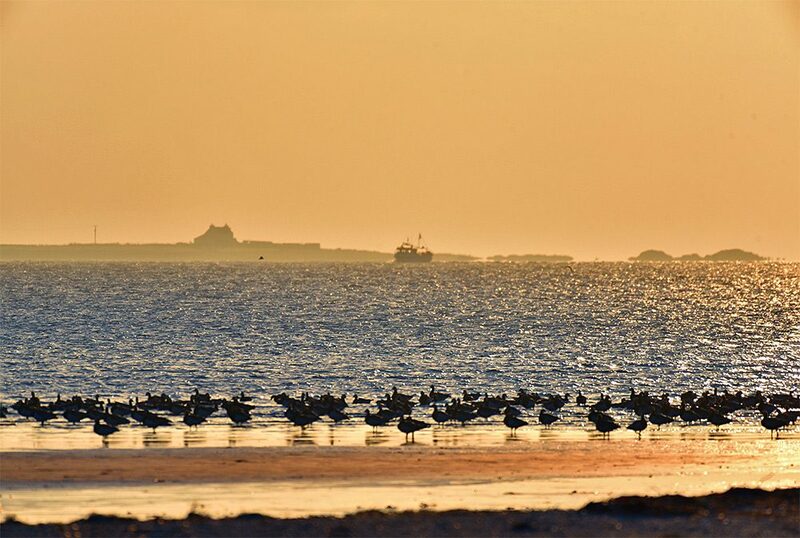 Barnacle Geese on the shore in the foreground. Gartbreck in the distance on the other side of the loch, a fishing boat incoming on its way to Bowmore. 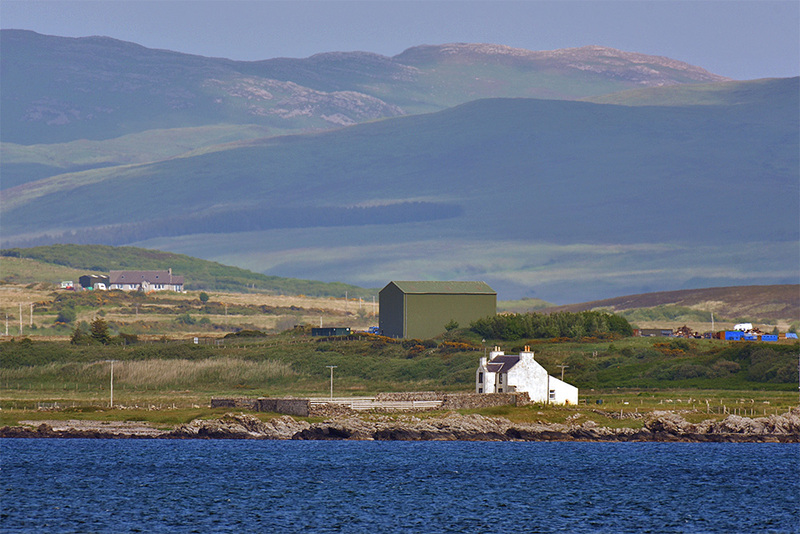 A view of Gartbreck Farm across Loch Indaal from Port Charlotte, a distillery is being planned for here. The large green building in the background is the council’s recycling centre for Islay. A slightly different view to what I think most people will be familiar with, Port Charlotte seen from near Tallant (admittedly through a telephoto lens). The house in the foreground is in the Cruach/Cruach West area (I’m not entirely sure, I hope someone can provide details in the comments). In the distance on the left the tall shed is the waste processing facility, to the right of it is Gartbreck. On Loch Indaal a ship, I think that might have been one of the oil tankers on its way out. Then on the other side of Loch Indaal is Port Charlotte, Shore Street with the pier just right of centre.